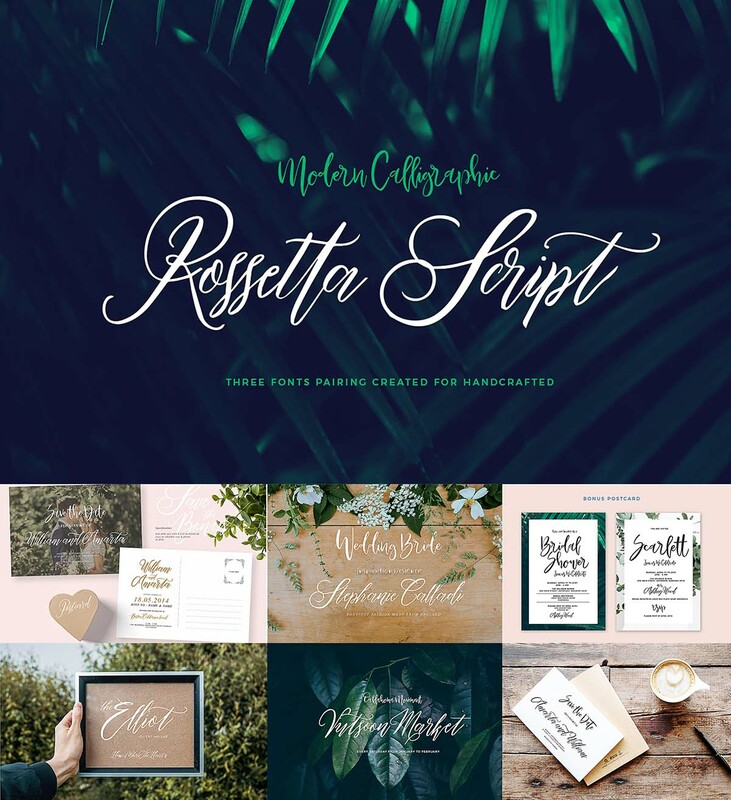 Rossetta comes with three font, with three fonts pairing could you to create some awesomeness handcratfted designs fell. It contains a full set of lower, uppercase, alternate, ligature. 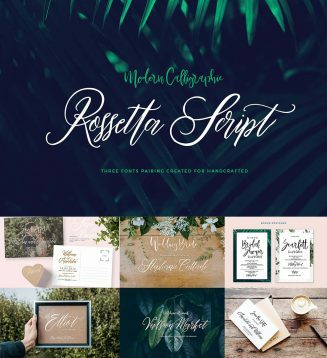 Rossetta a beautiful for logotype, for bookcover, website header, fashion design,wedding card design, save the date card, invitation. File format: .otf, .ai for Photoshop or other software. Tags: calligraphy script, elegant script, font trio, invitation card, typography, wedding font.